Over 30 alumni and friends of the College joined President and Chris White at PGA West in La Quinta, CA, for the annual Coachella Valley Alumni Association Dinner. 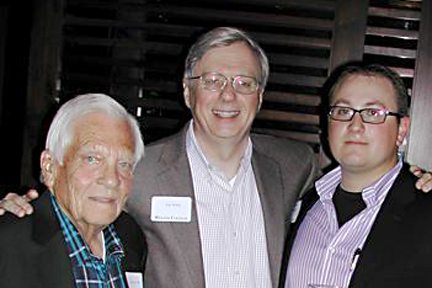 Jim Givens '50 and Benjamin Humphreys '10 were the senior and junior attendees--60 years of Wabash men! President White shared the good news of the Challenge of Excellence, recruiting for next fall's freshman class, the College's athletic success, and recent campus events. He also thanked the event's organizers David '56 and Betty Givens and Fred '69 and Debbie Wilson. He also gave a special thank you to Paul Woolls '75 and Betty O'Shaugnessy Woolls for providing the wine from their Napa Valley vineyard.